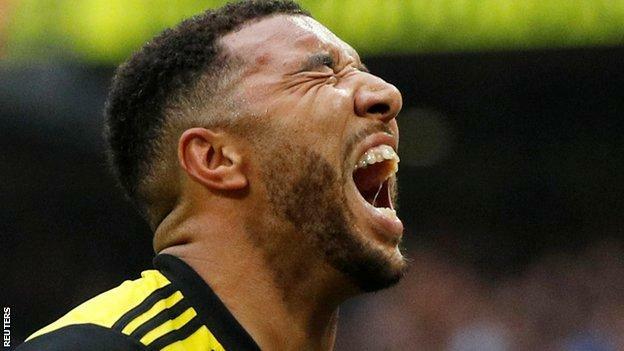 Javi Gracia thought “everything was lost” before his Watford side came from two down to beat Wolves 3-2 and reach their first FA Cup final since 1984. Substitute Gerard Deulofeu scored twice as the Hornets – 2-0 down with 11 minutes left – won in extra-time to book a meeting with Manchester City. “Everything was lost but we were able to show our character and I am very proud of my players,” said Gracia, who hailed Deulofeu as an “amazing player”. Matt Doherty’s header and a fine volley by striker Raul Jimenez had put Wolves in control before Deulofeu conjured up a sublime chip. Captain Troy Deeney converted a stoppage-time penalty to send the game to extra-time, and Deulofeu then won it with another fine finish. Gracia said: “I think Gerard was angry [not to be playing] when we started. I like to see the players this way, when they’ve felt angry, to show what they are able to do. “The first goal was high quality, but it’s not a surprise, I see him in all the training sessions. Watford goalkeeper Heurelho Gomes was again emotional after the win. The 38-year-old – who was in tears at the end of their quarter-final win over Crystal Palace in March – plans to retire at the end of the season and could now end his career with an appearance in the final. Gracia refused to say whether he would keep faith with the Brazilian – who has played throughout their FA Cup run – or bring in first choice Ben Foster, but said that he was happy that Gomes “was enjoying this moment like a boy”. After the game, Foster said he would “absolutely refuse” to play in the final. The final on 18 May will also be a big day in the career of Deeney, who has scored 122 goals for the club. Having joined in 2010, he was imprisoned in 2012, but became captain in 2014. He signed a five-year contract in 2016, but used a post-match interview to jokily ask for a new deal. “I was holding back the tears at the end,” he said. “Twelve years ago I was paying £10 a week to play football and now I’m in the FA Cup final. I had a wave of emotion. If anybody is watching, I’d like a new deal, thanks very much. 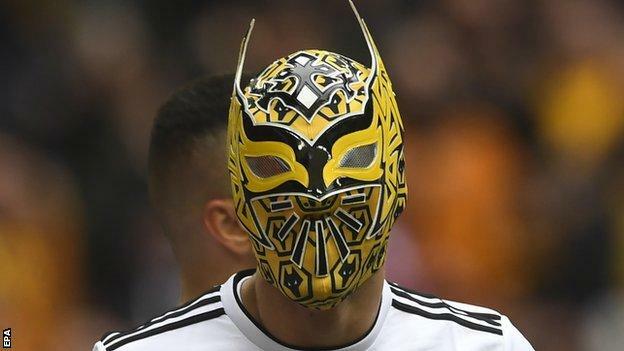 Deeney also joked that Wolves striker Jimenez – who donned a wrestling mask when celebrating his goal – could keep it on on his way back from Wembley. After watching a replay of the celebration on Bein Sports, Deeney said: “I’m glad he put that mask on – he could wear it out now as well, now he’s a loser. So, enjoy the mask – we got the victory. “He’s a top, top player, it was a great finish, but I didn’t see the mask thing. I’m quite happy I only saw it now because I probably would have lost my head if I saw that.